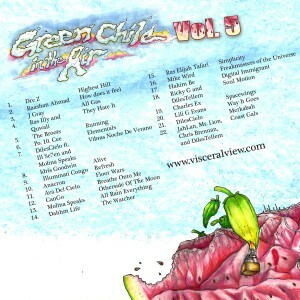 Green Chile In The Air, Vol. 5 Out now!! There are several traditions you count on every fall in New Mexico. The Albuquerque international balloon festival; where 1000′s of balloons from around the world fill the sky every morning for two weeks. Albuquerque producer Diles’ (@diles_tellem) annual album “Green Chile In The Air” which continually features artists from ABQ, across the U.S.A and countries around the globe. This year marks the 5th year in the series and could be the most potent batch yet. 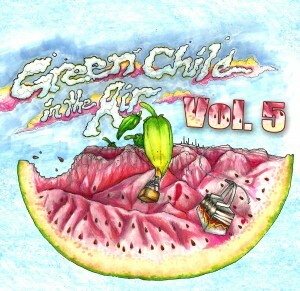 Having featured artists from cities such as Denver, Colorado Springs, Vancouver,Taos, LA, Chicago, Libreville (Africa), Luasanne (Switzerland), Port-of-Spain (Trinidad), Bordeaux (France), Bluefields (Nicaragua) and more… the Green Chile In The Air series is doing its part in sending New Mexico vibes out into the world via sound waves instead of our traditional export (Green Chile itself). 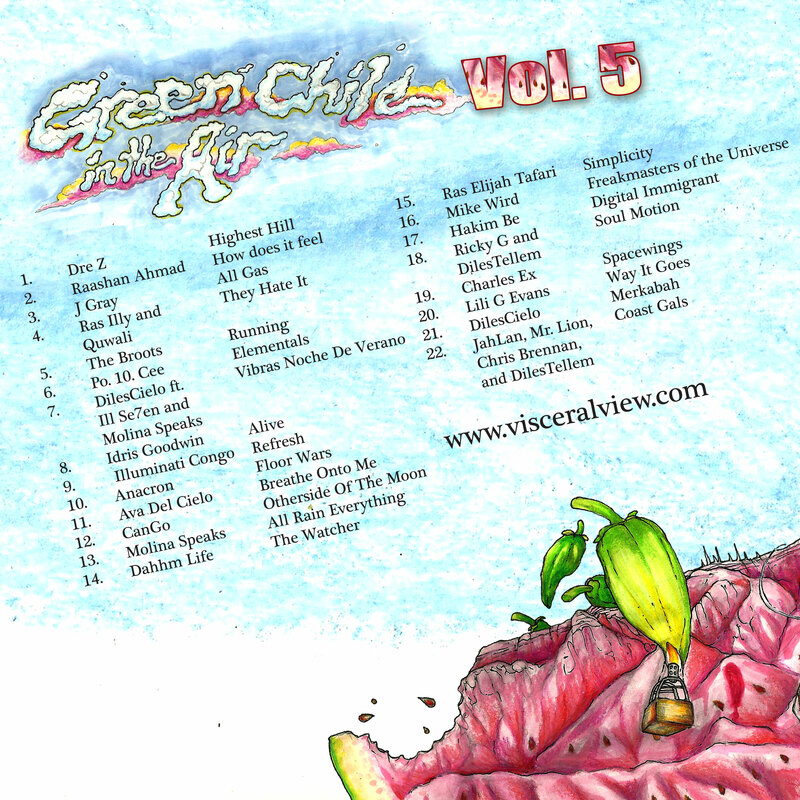 Volume 5 features artists such as Raashan Ahmad, Dre Z, J Gray, Illuminati Congo,The Broots, Anacron, Charles Ex, CanGo, Molina Speaks, Ill Se7en, Mike Wird, Chris Brennan, JahLan, Mr. Lion, Idris Goodwin, Po.10.Cee, and more. Catch some green chile in the air Nov 14, 2015 at Tractor Brewery Wells Park for the album release party, featuring performances by artists from the project such as Ras Illy, Quwali, Ras Elijah Tafari, Lili G Evans, Ricky G, Hakim Be, Dahhm Life, Charles Ex, DilesCielo, while sipping on one of Tractors many beers on tap. Hosted by Carlos Contreras with live art by Ras Elijah Tafari. Artwork and design by Zack Freeman. @Trapolocity (Z) “Woke” (Prod. by Diles) Album coming soon….